At CJS Lawn & Landscaping we know what it takes to be the hardest working Racine landscapers in the business. That is part of what helped us become number one in the area. Having started the business in 1982 we have worked hard over the course of 30 plus years to earn the flawless reputation we have. We take great pride in the work that we do but also the customer care that we provide. For all that we do and offer our customers we stand behind the work that we do. Which is why we offer follow up service after the sale. It starts with the free on-site consultation and never just ends once the professional work is completed. We strive to build long term relationships with our customers because we want to be there for any and all of your landscaping needs. It is important for us to know we have taken the best care possible of each and every one of our customers and not just because we depend on them for the high volume of repeat and referral business we get. It is because there are our neighbors, friends and fellow community members we are taking care of. So contact us today to find out more about what we can do for you. Many new homeowners make the incorrect assumption that the only thing that goes into taking care of your yard is a little moving and trimming. Yet there is a great deal of work involved with getting your yard to where you want it to be and then following up with care. At CJS Lawn & Landscaping we are experts at all aspects of what goes into creating your perfect lawn. You have to have a healthy, lush, green lawn in order to have a lawn to mow. We offer a wide variety of important lawn maintenance services that will help establish, develop and then continue to maintain grass that will be the envy of the neighborhood. 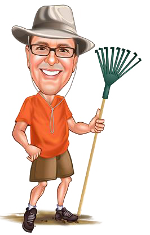 Your free time is precious and there is no reason why you should waste it trying to take care of your yard when we can do it for you. We promise you are going to love the yard we create for you. One of the other important aspects you should consider for your home is landscape lighting. For one thing, this adds beauty to your home by making your well planned landscaping the focal point. That also means taking attention away from any details you may not want noticed. All of this also creates mood lighting for you and your family to enjoy the great outdoors all while increasing the property value of your home. Landscape lighting also does so much more. For one thing it adds security; exterior lighting makes it difficult for criminals to break in or vandalize your home without being detected so they often move on. This is also important for creating safe walkways around your house for your family members and friends. Let us share more with you about this type of lighting and help you see the many benefits. As a Racine landscaping company that cares about its customers we want to be able to provide as many important services to you as possible. Taking care of your landscaping is about so much more than just mowing the grass and tree trimming. For one thing we offer complete landscape design and installation. If you want your yard to live up to its full potential, this is the way to do so. We also take care of bed maintenance and mulching. This is a tedious but important task that helps ensure your flower or garden beds always look their best. And of course, who can forget about snow removal once the cold weather moves in. For the best Racine landscapers in the area, think the CJS Lawn & Landscaping name. Read about our landscape lightingservices. If you are looking for a Racine landscaper then please call 262-878-1660 or complete our online request form.